Operations Management & Business Issues in Today's Competitive Environment | Extending our classroom to the world! 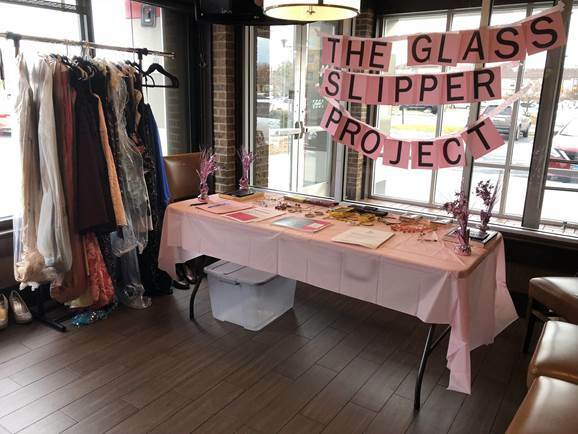 Team 5 hosted an event for the Glass Slipper Project on Saturday, November 3rd from 2pm to 5pm at T.G.I. 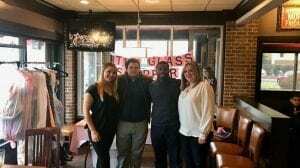 Friday’s to raise money and awareness for The Glass Slipper Project. 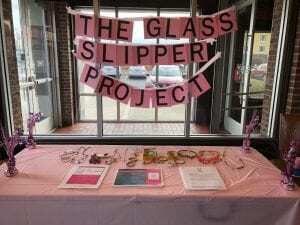 During the event, guests were able to eat, socialize and learn more about the Glass Slipper Project. The team collected prom dresses, shoes, purses, jewelry and money to benefit the charity. The Glass Slipper Project is a non-profit organization that was founded in 1999 and is based in Chicago, Illinois. 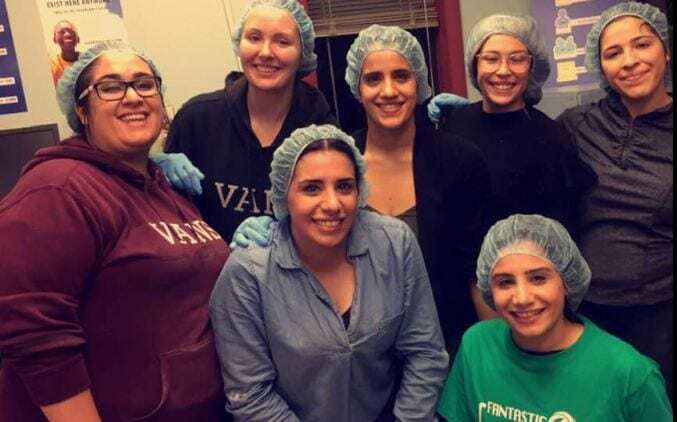 The organization collects new and almost new formal dresses and accessories and provides them to girls with junior and/or senior status in high school. Since its inception, The Glass Slipper Project has helped over 20,000 young women attend their proms! 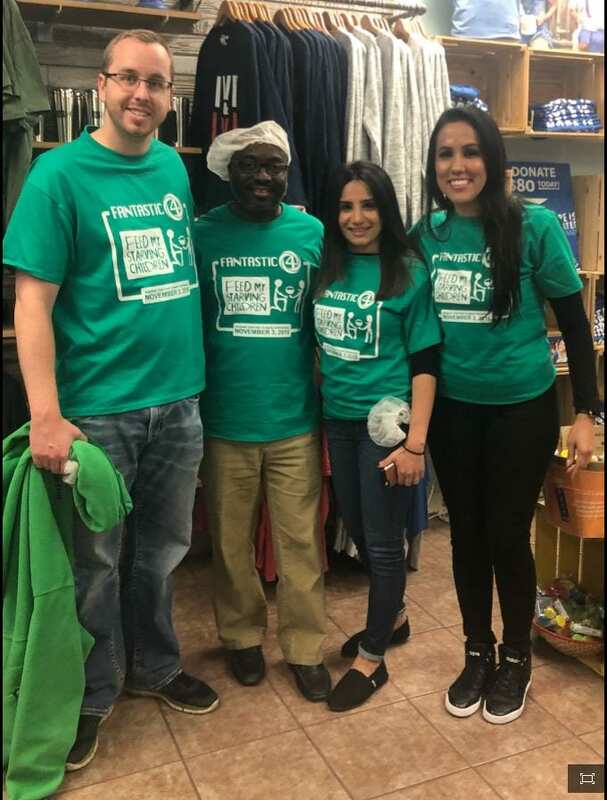 Students shop for a free outfit, aided by more than 500 volunteer personal shoppers, with alterations available on-site. 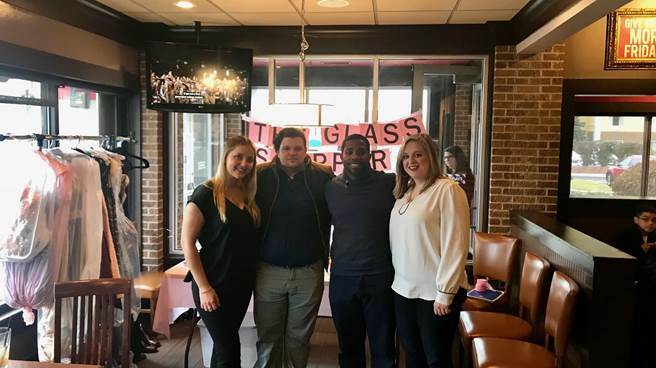 The Glass Slipper Project was founded by Dorian Carter, Katherine Goldberg Shaw and Rachel Hart Klayman, with assistance from Julie Ann Sklaver. While Chicago Public Schools and private donors provide support for its operations, it is volunteer run and has no paid staff. We were able to achieve 3 of our 6 goals. We exceeded our both of our donation goals. 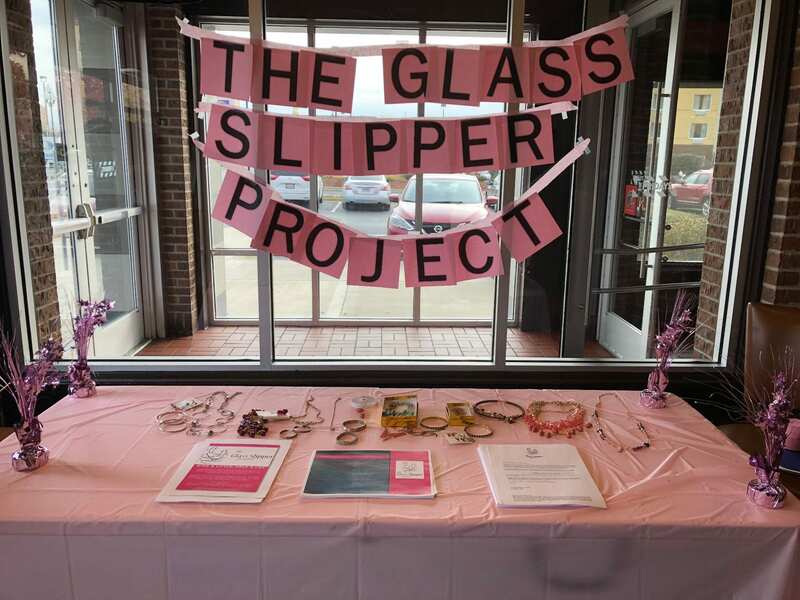 We collected the following items for the Glass Slipper Project: 60 formal dresses, 10 pairs of shoes, 40 pieces of sparkly jewelry, 3 small, dressy purses and 5 makeup kits. We also collected $835 in monetary donations. We were also able to raise awareness for the charity. 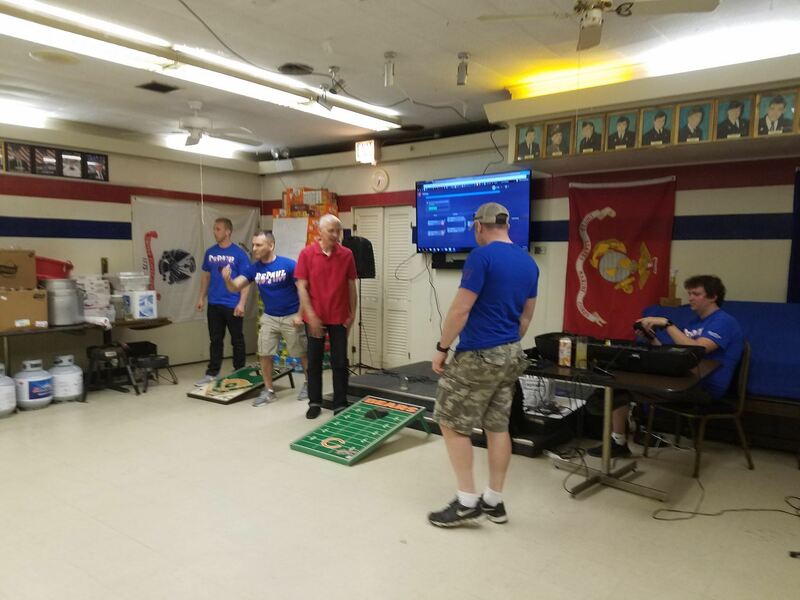 During our event, several members of the T.G.I. 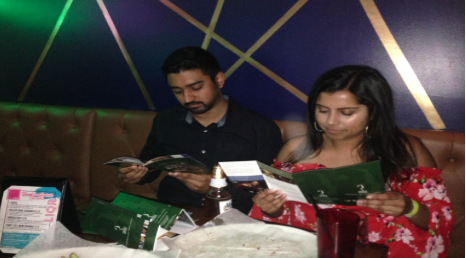 Friday’s staff, as well as other dining customers, stopped by to pick up flyers and asked where they can drop off dresses in the future. 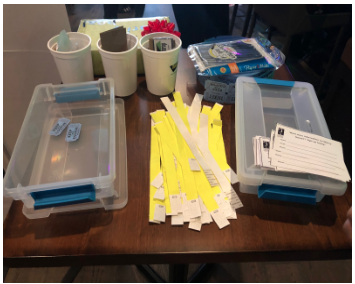 While we had a great event, we did not exceed our attendee goal, did not have a board member from the Glass Slipper Project attend our event and did not get a volunteer to sign up. 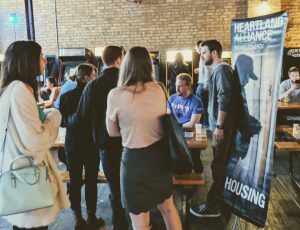 Overall, we had about 35 people attend our event. Communication – We first learned that communication is key. You have to stay in constant contact with everyone that is involved with your event – especially your other group members! 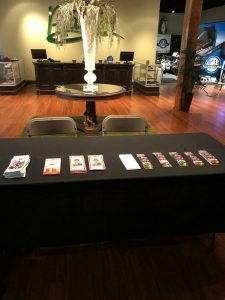 Marketing Your Event – We also learned how important it is to make sure you have your marketing material done as soon as possible and that you send out your invites early. This way people are aware of your event and hopefully they are free to attend. Stay Organized – Make sure you have your implementation plan and risk management plan done early. 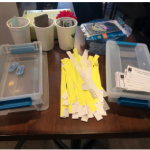 These tools are crucial to the success of the event. The implementation plan helps you stay organized and keeps everyone on task. The risk management helps you prepare for anything that could go wrong with your event. Our advice for future teams would be to make sure you stay on top of getting everything done in a timely manner. Get in contact with the charity and the venue people early. When you talk to anyone, make sure that you get everything in writing. Team 1 planned and implemented a fundraising event for the Boys and Girls Club. 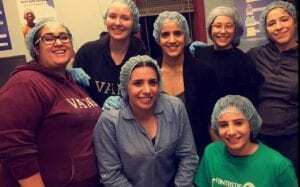 The project was designed around two components: a fundraiser held at Vapiano located at 222 S Riverside and an online portal created to accept donations prior to and after the fundraising event. 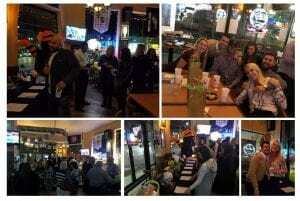 Tickets to the fundraiser were sold for $30 which provided guests with an open bar of beer and wine as well as pizza from 4:30 pm to 7:30 pm on Wednesday November 7, 2018. 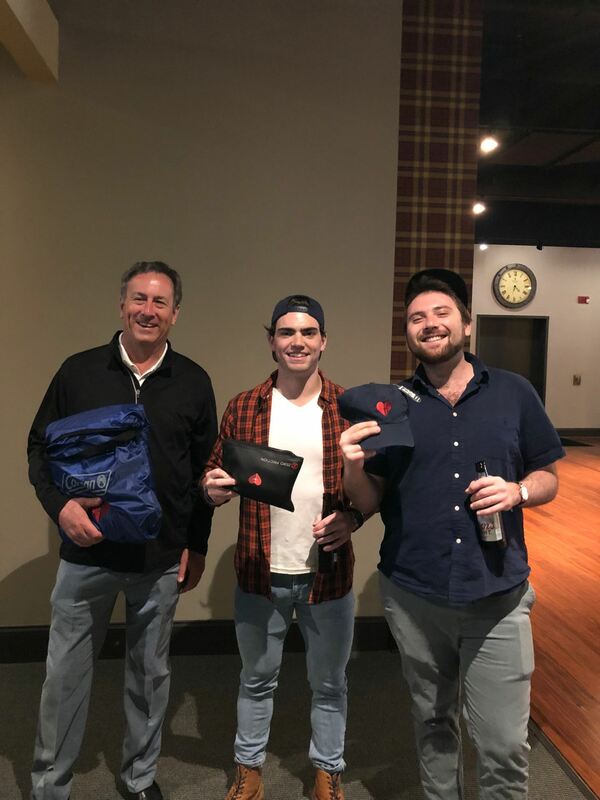 At the event we raffled off five separate signed sports memorabilia. Raffle tickets were available to guests at $20 for an arm’s length. Attendees also had the opportunity to sign up for volunteer opportunities with the Boys and Girls Club. 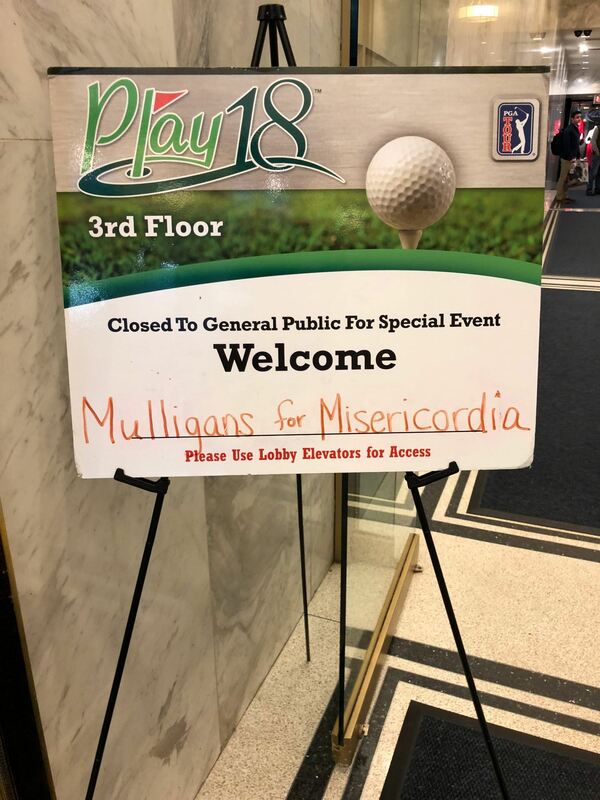 For those who could not attend the event, the online portal provided an opportunity to support the organization in whatever monetary amount they were comfortable with. The Boys and Girls Club provides children “emotional, educational, physical, and cultural resources that allow them to enjoy their childhood and eventually thrive in adulthood.” With an emphasis on kids from low-income neighborhoods and areas of high risk of violence, the Boys and Girls Club provides mentoring as well as educational and character development programs. We partnered with the local Elgin chapter as well as the national organization with proceed from the fundraising event supporting the local chapter and the online portal supporting the national organization. We were able to achieve 3 of our 4 objectives. We exceeded both our fundraising and attendee goal. In total we raised $3,135 for the charity, $2,605 of which came exclusively from our online donation portal. 44 people attended our event which, net of expenses, raised an additional $530. 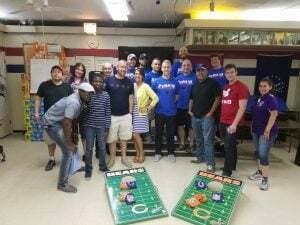 Through both components we were able to provide a great experience for those who attended the event as well as great publicity for the Boys and Girls Club. While we had hoped to register 3 new volunteers at the event, we were unsuccessful in doing so. However, we had 78 individuals donate through the online portal which brought them directly to the organization’s website. 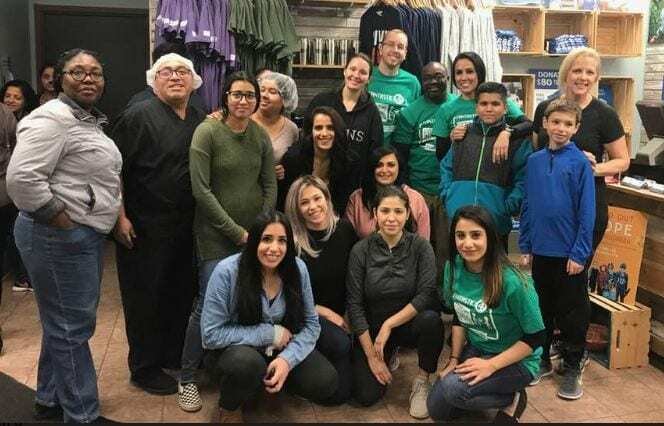 Despite not achieving this specific goal, we believe we were still able to do a good job of raising awareness of the benefits of the organization. Two key lessons we learned by planning and implementing this project were the importance of having a risk management plan and a thorough work breakdown structure. Despite how simple your event may seem, taking the time to identify all potential risks, whether they seem likely or not, as well as contingencies for those risks will make it much easier when something inevitably does not go according to plan. In addition, while it may seem unnecessary, creating a work breakdown structure to a very detailed level will allow you to identify any gaps in your planning before those gaps turn into problems. Having a brainstorming session and sticky notes is very effective way to begin the process. Leverage your own networks and do not be afraid to ask for help or participation. We originally believed the bulk of our donation would come from the fundraising event and not the online portal, but we were surprised to have the opposite happen. 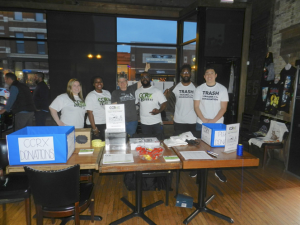 By leveraging each team member’s network of friends, colleagues, and family we were able to have over 100 participants between donations online and at the fundraising event. 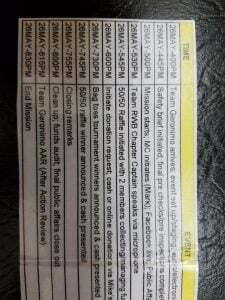 When you leverage your network do not be afraid to ask for donations or attendance. Everyone has a desire to help those in their own network and you will be amazed at how many people want to see your event succeed. All you have to do is ask. 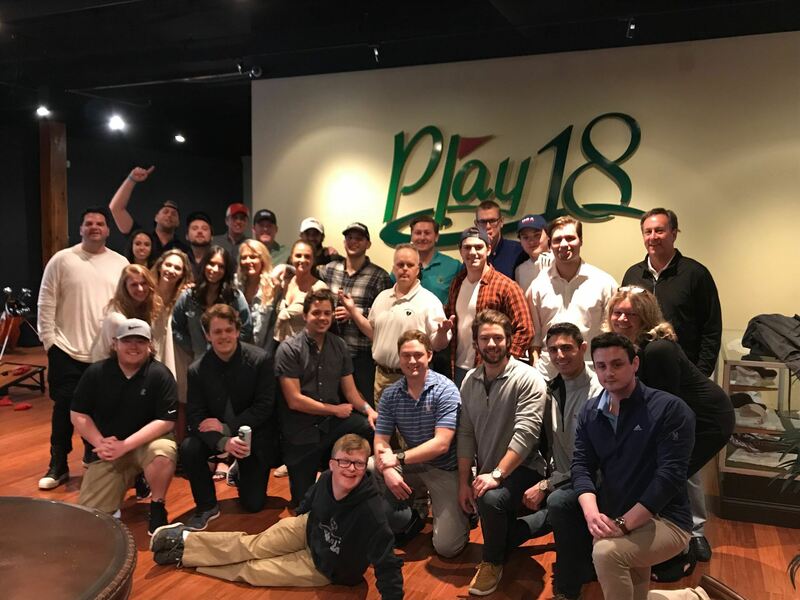 Our team coordinated a funding raising event at Healy’s Westside Pub to help raise funds for the Ellie Burns Foundation. We obtained a donated package with bar management to donate food for 3 hours as well as provide a keg of beer. 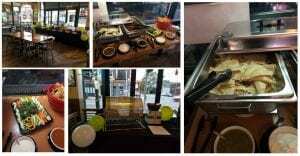 We will charge a cover charge at the door of $20 for the meal and drink package. 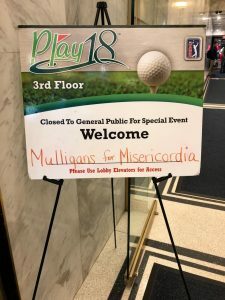 During the event we will socialize and help spread the word about the Burns Foundation while also participating in silent auction and a raffle for an iWatch. 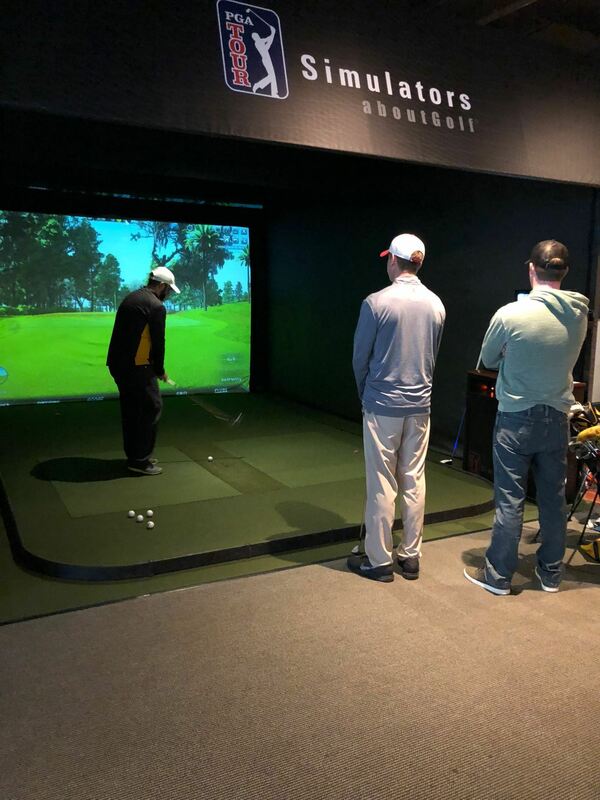 The charity is the Ellie Burns Foundation, a local organization with fundraisers mainly occurring in the North Shore and greater Chicago Land Area. The organization also has ties to Miami University in Ohio where one of our team members obtained his undergraduate degree. The purpose of the charity is to fund scholarships for High School students to promote leadership and education through outdoor activities. 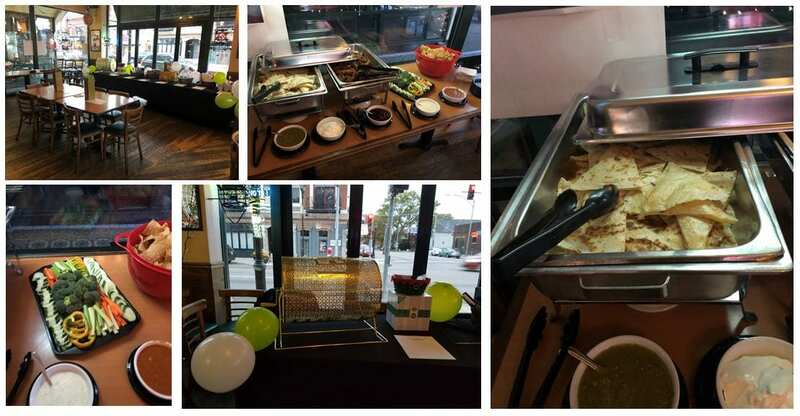 The proceeds from our event were to help fund a trip to Tanzania for two students. 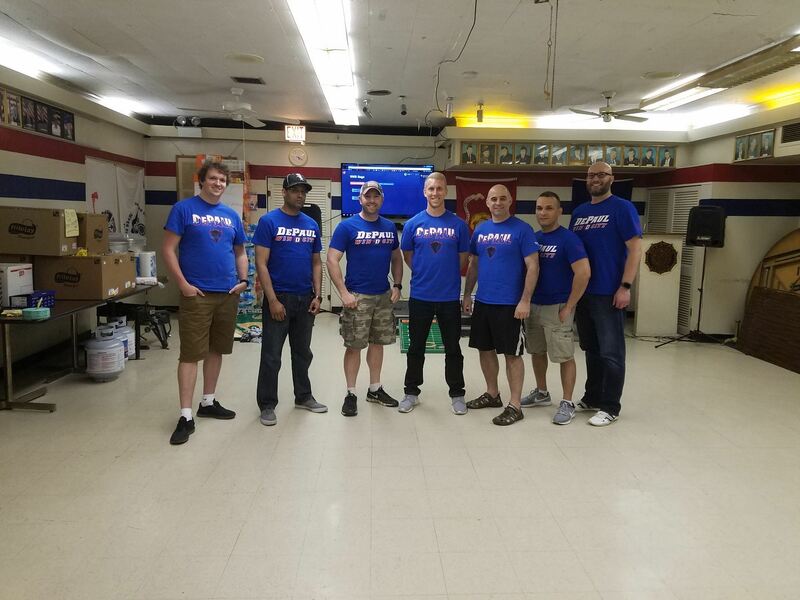 We are happy to report that all these objectives were fulfilled by the end of the event and we were able to raise over $1500. Two lessons we learned from this are in the invitation process and plan implementation. In term of inviting guests, some arrivals we thought for sure would show up did not and people that we mentioned this to in passing not only showed up but contributed greatly. The lesson learned was to let the entire masses know of your event regardless of their relationship to you. The second lesson was to have back up plans to any downturns. The party went off without a hitch but we were prepared for low attendance and weather impacts. Our advice to future team members would be to choose a charity that you are already involved with our have a passion for. The whole process will hardly feel like work at all. 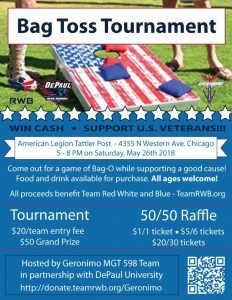 Our team decided to host a charity fundraiser Bag Toss Tournament in order to raise awareness in our local communities regarding Team Red, White, and Blue (Team RWB). The event was hosted at American Legion Post 973 in Ravenswood over the Memorial Day weekend. 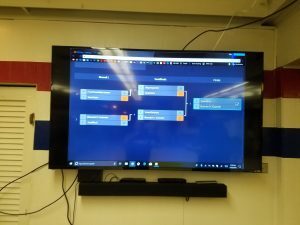 Entrance into the tournament was $10 per participant/ $20 per team, with the winning team receiving a $50 prize and the rest going to the charity. 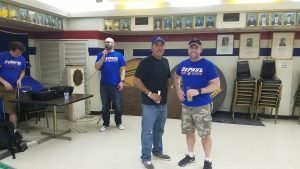 During the event we raised additional funds through a 50/50 raffle. Prior to the event we set up a direct link to Team RWB’s website to collect online donations. 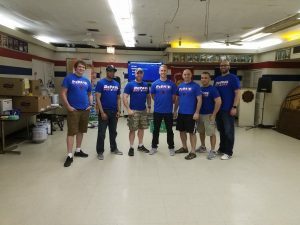 Team Red, White, and Blue is a non-profit Veterans organization that seeks to enrich the lives of American veterans by connecting them to their community through physical and social activity. Members participate in weekly/bi-weekly local events aimed to promote physical exercise as well as providing a social and support network. Some of the events include but are not limited to running, cycling and other fitness type actives. Our goal was to raise funds for and awareness of Team RWB. Team RWB is the largest veterans organization in the United States though not many vets know about the outreach of this organization. We measured our success in term of how much monetary support we raised. Our initial goal was $500 given the short time frame in which to raise the funds and reviewing what other Team RWB teams have accomplished with previous online donations. Due to the amount of online giving we raised our goal to $1,000. We exceed our modified goal by raising $1,179. Our team is currently the highest grossing online donation team on the RWB website. ● P-A-C-E. – This is a military acronym for Primary, Alternate, Contingency and Emergency. the two critical areas to focus on early in the planning process are Charity selection and the venue to host the event. As a group, we focused on one charity and as it turned out the charity was great to work with and supported us throughout the processes. 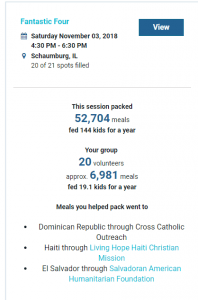 If the selected charity did not work out, we would have needed to scramble to identify and coordinate another charity with little time to spare. Next, securing a venue was paramount. We had a venue picked early and were in negotiations about dates but ultimately didn’t work out. 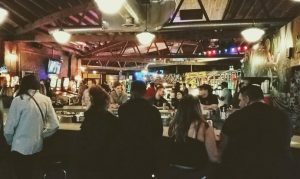 We had to restart our search for a second venue a couple weeks into the planning process. 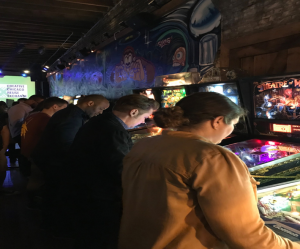 Our second attempt at finding a venue applied the PACE plan and took on a multi-prong approach with three venues to choose from. If we had to do it over, we would have approached multiple venues in parallel at on onset of the project. ● Delegation / Accountability – As a large team of seven, it was important to us to outline tasks assign owners for various major deliverables. We learned quickly, first couple of weeks, we needed a Work Breakdown Structure (WBS) and responsibility matrix to clearly communicate who was responsible for what. We completed the WBS and the responsibility matrix within a couple of weeks of starting the project. Both documents were refined over time and served as team tools to track accountability. ● Communication – Again, with having a large team, communication becomes very important in order to keep the plans moving forward. We operated with three forms of communication: WhatsApp group chat for day to day communications, group emails for longer conversations and attachments, and Google Docs where we kept all our deliverables. In hindsight we should have also developed a communications plan early in the process to document frequency and which channel was used. We learned quickly and that helped. We could have avoided a few miss-steps in the beginning and end of the project with communication if a comms plan was developed early. Don’t be afraid to ask for volunteers/donations, etc. The worst they can say is no. At times when the project becomes stressful, keep in mind that this is a learning experience and you are bringing real support to a worthy cause. 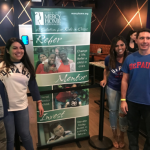 Our team conducted a Happy Hour for Charity event to benefit Mercy Home for Boys and Girls. 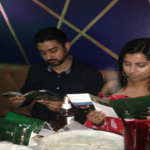 Our group formed largely due to the fact that we all were interested in conducting a similar type of event. 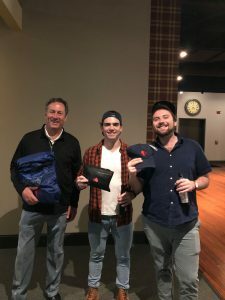 Based on our reviews of previous projects, we felt that holding a happy hour event would be fun and productive way to raise funds and spread awareness for a charity. For this event we had a $40 Wristband that included unlimited wine, beer, & appetizers for 2 hours at Liqrbox in Rivernorth. 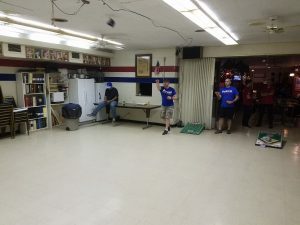 Once we figured out our venue, we then needed to pick a charity for our project. After briefly discussing a few options, we quickly decided to pick Mercy Home as our charity because one of our members already had a connection to the charity and a relationship with their volunteer coordinator. We felt that this would be a huge benefit to our project. 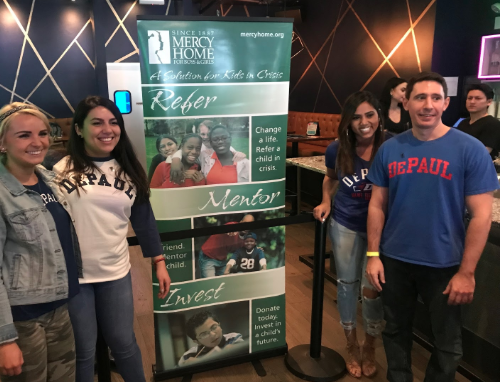 Founded in 1887 and located at 1140 West Jackson in Chicago, Mercy Home for Boys & Girls helps youth escape poverty, abuse, and neglect. Our goal was to spread awareness and raise money for Mercy Home Boys and Girls. 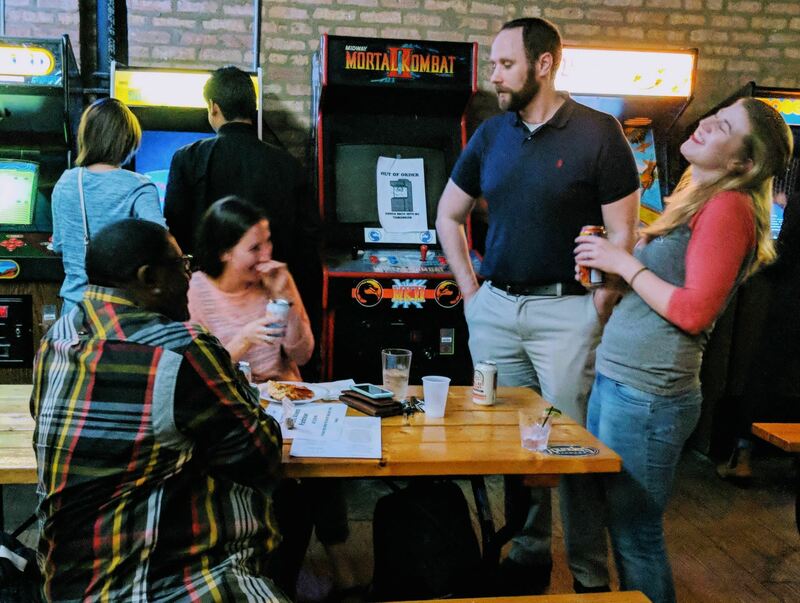 We decided to set the following goals for our project- raise $600 from our happy hour event, raise $500 from our online donation link, have at least 5 of our event guests fill out volunteer forms for Mercy, and spread awareness for the work done by Mercy. 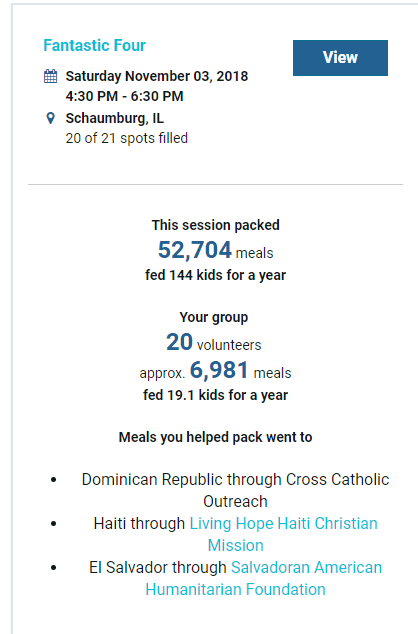 We fell a little short on our first two goals by only raising $500 and $300 respectively, but we were able to meet and exceed our other two goals by effectively spreading awareness for Mercy as well as obtaining 15 completed volunteer forms. 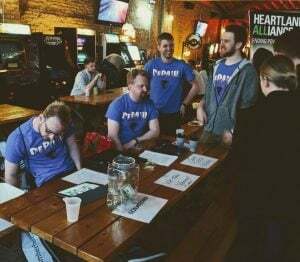 We may have slightly overestimated our fundraising goals given the early timing of our event and the fact that our team only had four members. It was still rewarding to be able to donate these funds and volunteer forms to Mercy as well as inform them of the awareness we had spread for their cause. 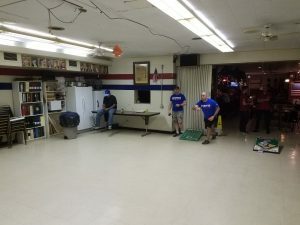 Organization: Luckily our group was able to coordinate and plan everything without any issues, with that being said it was because we were very organized. Our team was in constant contact through texting, emails, and google docs. It was very easy to have a successful event because we had open communication. Time: Since our event was early in the quarter it was important for us to communicate and make sure everything was done in a timely manner. Finding a venue and selecting which one we liked had to be done very fast. Everything that we did was time sensitive so it was a good way for us to learn how to manage our time and gets things done efficiently. Our team did an event on 5/19 at Emporium Arcade Bar Wicker Park to raise money and awareness for the Creative Chicago Reuse Exchange organization. 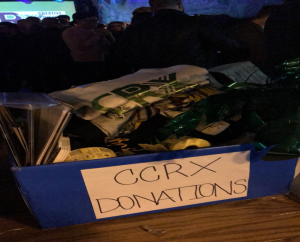 Attendees donated supplies that were needed by the organization and also made cash donations. 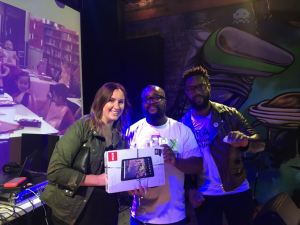 We were initially going to raffle tickets to a Cubs game, but we ultimately decided to instead raffle off an RCA tablet and gift cards from Giordanos and Starbucks. 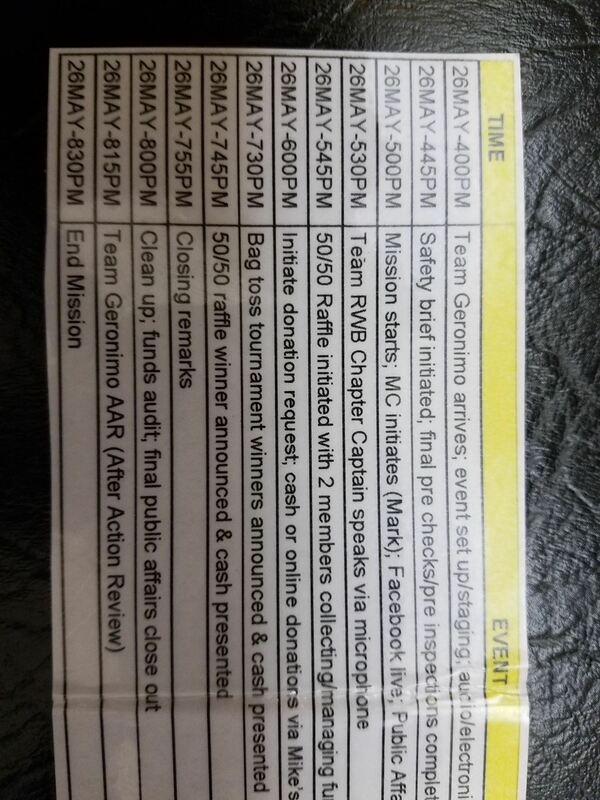 Everyone who donated either money or supplies was included in the raffle. We had live entertainment for free (no cover to enter) and also gave away free game tokens. 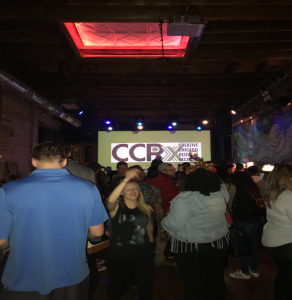 The Creative Chicago Reuse Exchange is a non-profit organization that focuses on the creative re-use and re-distribution of school/arts supplies. The organization receives the materials mostly from local businesses and distributes them to teachers. Teachers come from a wide variety of schools, but most are Chicago Public School teachers. The end goal of the organization or the reason they do this is to empower the mind of the youth by promoting creative use of the supplies. 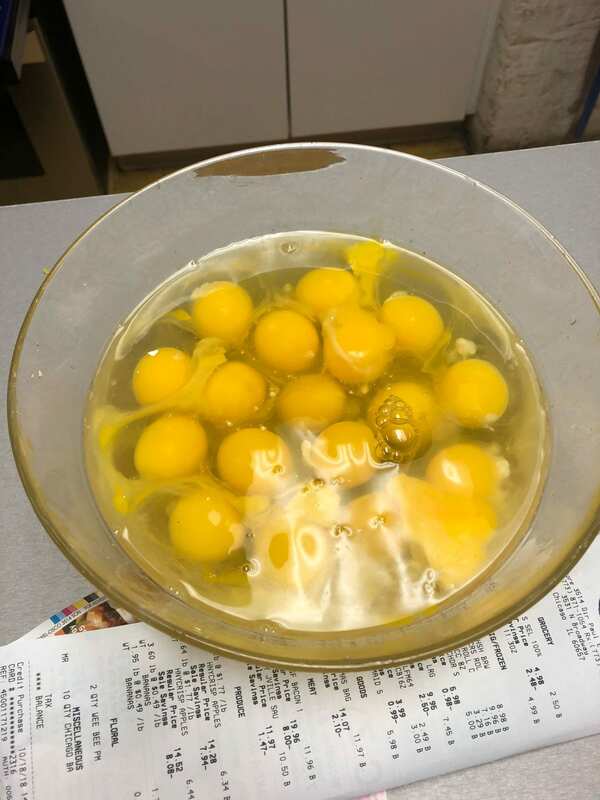 The organization frequently hosts swap circles in which teachers can go and get the materials they need for their classrooms. Our three main objectives were to raise money, awareness and donate supply. We expected to raise $450 total. We ended up raising $274 from our raffle at our event, $120 from our online donations, and $30 from the venue based on our RSVP’s. We also wanted to raise awareness of this organization and their cause. To promote our event, we created a Facebook event and each member of our group shared it with our networks. 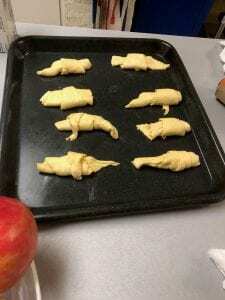 Our Facebook event reached over 2000 people and had about 1000 views. 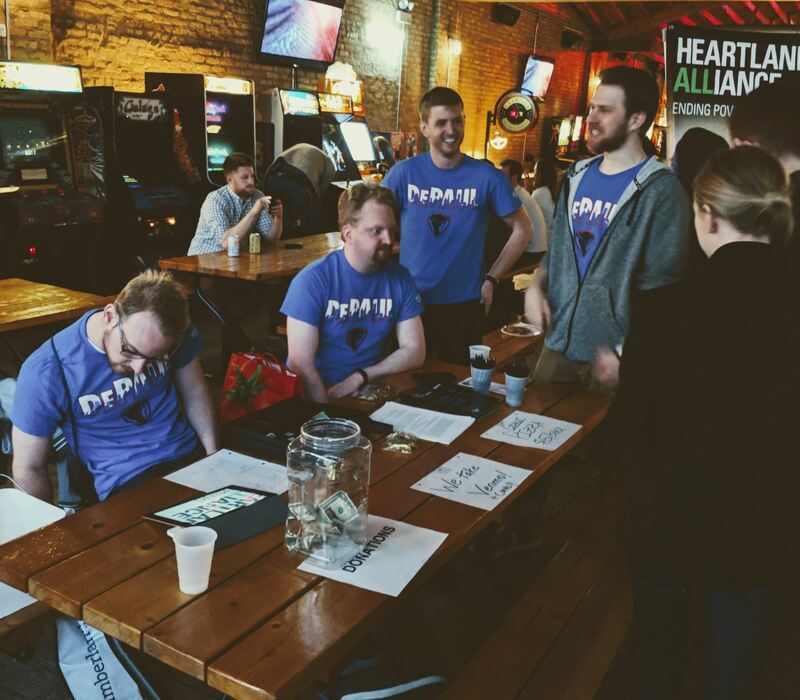 Also, we were able to raise awareness to everyone who came to emporium who might not have heard of our organization. 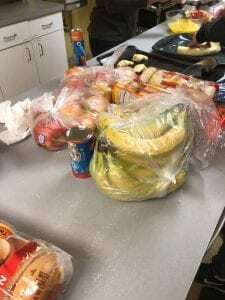 Our goal was to donate around 225 items of supplies and we were able to donate about 100 items from the event. This was lower than we anticipated but we were glad to also be able to donate money. Overall putting together an actual event in a short amount of time makes you put a lot of things into perspective. Learning to manage risk in the event that one may arise, as well as having a solid contingency plan in place is a must. 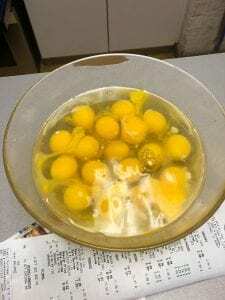 Real life things are always happening an example is family emergencies that can happen in a blink of an eye and change your life as you know it. Contingency plans help combat issues that can and will arise. Holding regular team meetings are imperative to making sure everyone is on the same page. 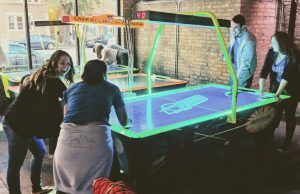 Team meetings do not have to be useless. Our meetings helped keep us on track. If we had questions and concerns, we would make sure to voice this and either get on a call or follow up via email to make sure that we were in fact on the same page or figure out what needed to be done to get us back on the same page. Meetings were extremely helpful and a vital part of managing projects. 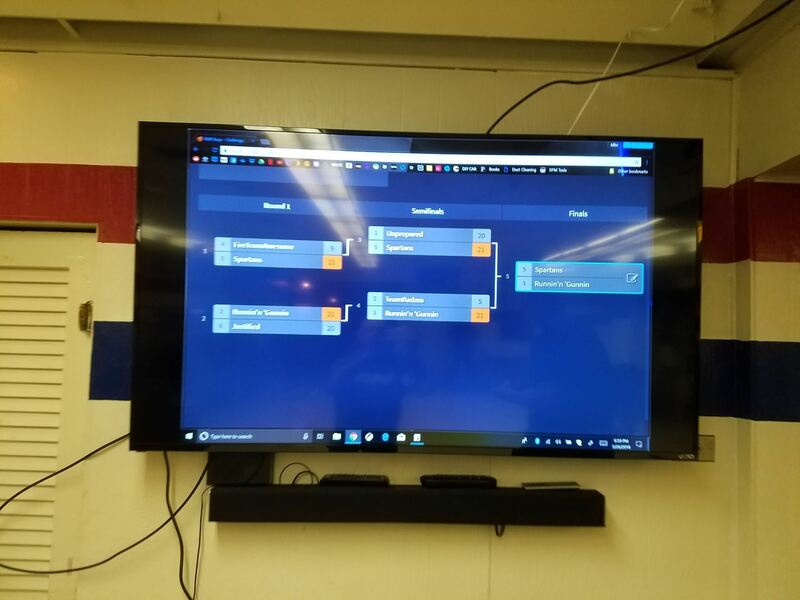 Of course, there are vital skills that are needed and without them projects would never see fruition and that is Organizational skills, making sure that information is easily accessible for all to access we used google docs to help keep us organized as a team. Communication skills are also a key component. Making sure that we effectively communicated with each other is another skill needed for successful project management. Furthermore, making sure we had clarity on our goals especially from the organization. The organization that you are assisting may have a different vision, however making sure that you are able to bring things together is very important, even if the vision is different the end goal is the same, and making sure that this was expressed, and trying to tie the organizations vision with ours had its challenges, however in the end we were able to pull it off. 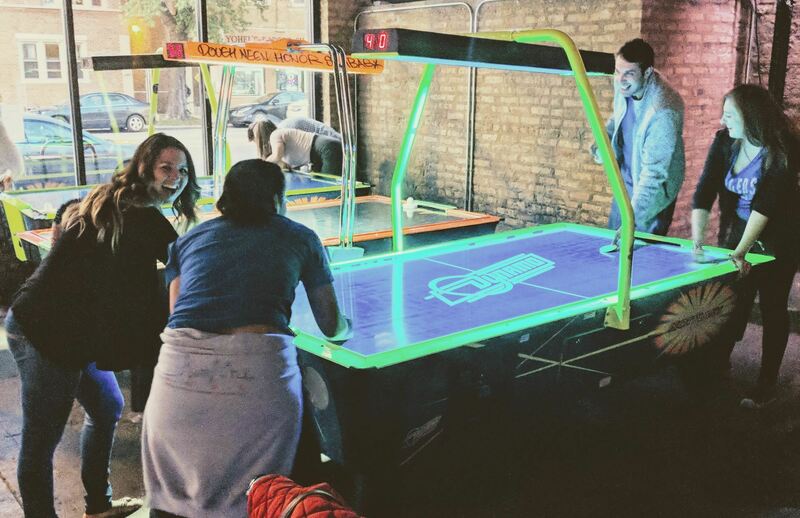 The biggest takeaway from managing projects is to have Fun! At the end of the day there are a lot of little pieces that go into managing projects. However, there is fun to be had, putting on events can also be fun, and as you can tell from our photos we were able to have fun while doing a great thing for a phenomenal organization. The best piece of advice for future groups to pull off a field project is to stay on top of communication. Another piece of advice would be to never underestimate your personal and professional networks. Although our group wanted to complete this field project for the sake of a grade, I highly doubt that the project wouldn’t have been as successful if we did not include outside stakeholders within our own networks to help pull of the event.